Are We In Correction Territory? Just days ago we brought you an article exploring the problems with high valuations in the equity market. We looked at why the Shiller P/E ratio offers warnings to investors given that the measurement is over 75% higher than its historical mean. Outsized stock values reflect heightened expectations. As a result, companies face the ever-increasing burden of growth. Today, investors appear to be awakening to the fact that stock prices are unreasonable. Simultaneously, actions from China are compounding the problems looming for equity investors. 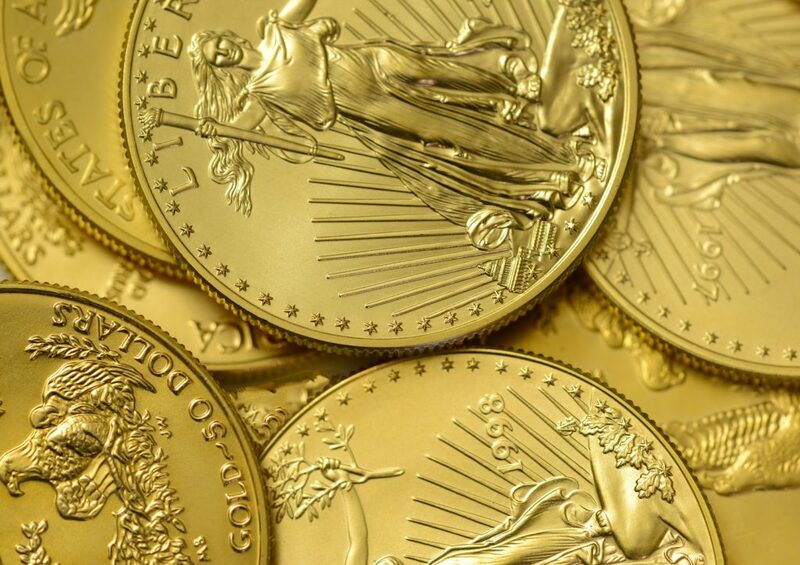 These two factors offer reasons to refocus on gold as part of a portfolio. The U.S. stock market plummeted on Wednesday. This drop comes amid increasing political turmoil. Investors, once hopeful for pro-business initiatives, are losing confidence that the administration will deliver on promises. Recent share prices have reflected this optimism, until now. For months investors have been paying today for value expected tomorrow. However, in the last several days tomorrow has started to look cloudy. “Equities are selling off significantly, the impeachment talk has been amplified since last night... It’s just natural that safe haven assets are doing well,” remarked a senior marketing strategist at RJO futures. The data supports his argument. On Wednesday gold prices jumped to a two-week high. In fact, gold prices have climbed for six consecutive sessions. Troubling headlines and uncertain investigations have distracted policymakers from progress on the changes already priced into equities. It’s too early to know if this is the beginning of the end for the rally in stocks. However, the bull market is nearing a decade and cannot continue forever. Some have already made comparisons to market data from the Watergate era when the S&P 500 lost nearly half its value in less than two years. Meanwhile, the picture abroad is no more encouraging. Lending in China continues to add to the list of investor woes. Excessive credit has threatened to overheat their market. To prevent this problem the country has recently increased rates. This increase, in turn, has squelched growth. The National Bureau of Statistics reported that value-added industrial output increased by 6.5% year-over-year in April. The problem: this figure was lower than March and well under expectations. Now China is pushing rates down in an attempt to pull off a tightrope act. Some investment advisors aren’t reassured. A recent survey of 213 asset managers showed that 31% cited China as their biggest concern. Even optimistic readings indicate China will have a less positive effect on the global economy this year. How can investors respond to a deteriorating picture? Asset class diversification offers some solutions. With greater exposure to gold, there is less reliance on equities. This sentiment has likely been a major reason for the latest surge in gold prices. Long-term equity investors often remark that time restores wealth even amid a downturn. Despite this truth, it’s important to remember that it took nearly 15 years for the Dow to reclaim its 1966 high. Downturns can last much longer than many consider.